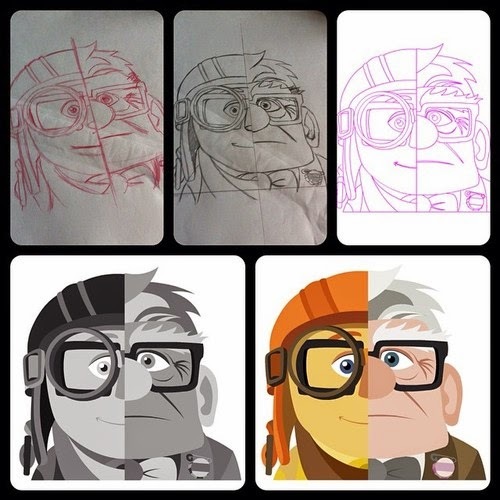 While browsing social media I saw a post about something called The Animation Art Show, which is is an art show of animation related art from students and professionals that is auctioned at the end of the three day show for children's charities. 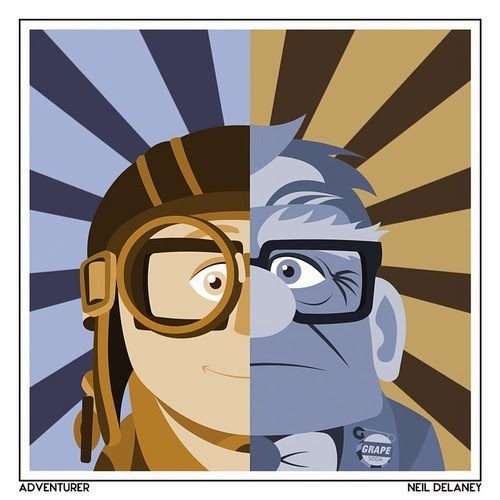 Instantly I wanted to do something so spent a bit of time thinking about it and doodling various little idea's, decided I wanted to do it digital and print out the final result and have been using a square format a lot lately and was watching up when I decided I wanted to do young and old Carl together. So here's the process and the final.